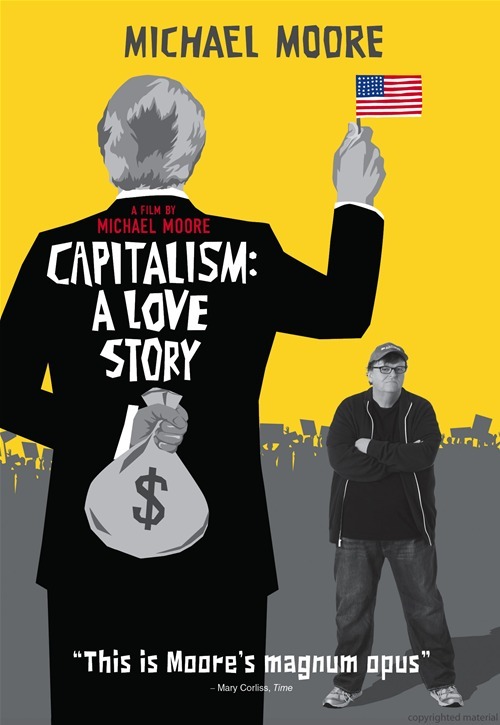 Although it plays at times as a sequel-of-sorts to Roger and Me, the 1989 landmark first film from documentary provocateur Michael Moore, Capitalism: A Love Story is a bit of a disappointment. 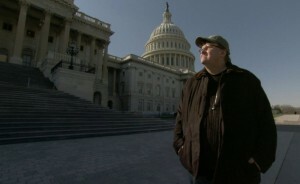 In the movie, the bespectacled, baseball-capped, not-so-dainty Moore tackles a big subject — capitalism and its hazardous effect on American life — and comes up with a scattershot affair that certainly makes strong points but eventually get blunted by Moore’s familiar showboating shenanigans. 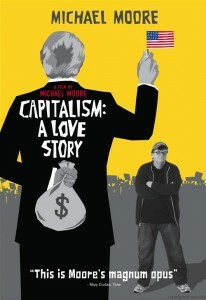 Capitalism: A Love Story has some of the Moore chutzpah we’ve come to know and, if not love, at least respect. There’s great use of archival footage and a powerful flashback to the little-seen FDR call for a second Bill of Rights that would ensure Americans a job, fair wages and health care. The problem in the movie is that aside from the huddled masses yearning to be free (of debt), the filmmaker tackles a huge subject and can’t confront the powers-that-be, really. Taking a building hostage isn’t as effective as facing off with an executive with pockets lined with bailout money who fiddled while America burned. Moore peaked with Fahrenheit 9/11 and that was like 6 years ago. It’s been pretty borinig since then — I think he’s only done Sicko since then.